As a student in the late ‘70s & early ‘80s, I made (what are now called) mixtapes, for friends with similar tastes. I thought most of them were lost, but it seems not. At least one case still survives. 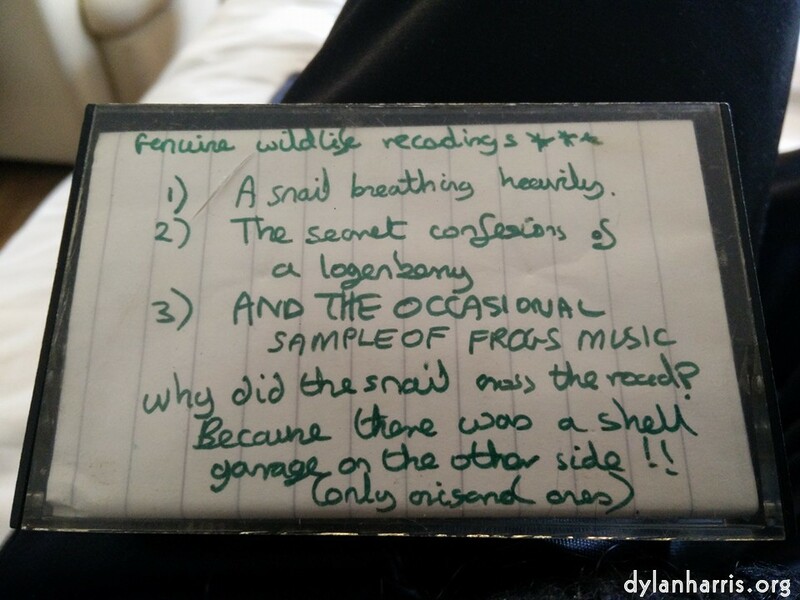 When Nige & Jan told me they’d send me photos of the cassette cover (thanks guys), I found myself anticipating the track listing, to see if I’d forgotten something good. I should have known better. I fear I made this tape not long after I visited France for the first time. As a fairly young student, as per the occupational hazard of youth, my sense of humour was warped. It still is. Ironically, I’m typing this blog post in a café near Paris’s craggy Hôtel de Ville.